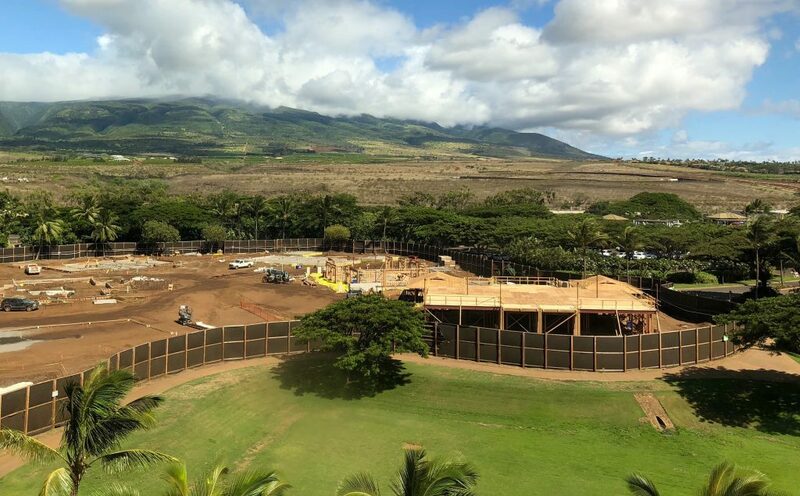 Luana Garden Villas at Honua Kai is Kaanapali’s Most Anticipated New Build of 2018. Described by its developers as “a magical setting” and “the perfect blend of contemporary design and authentic island detailing,” this remarkable neighborhood in Maui’s Land of the Royal features three intimate enclaves placed along the northern shores of the world famous Kaanapali Beach. 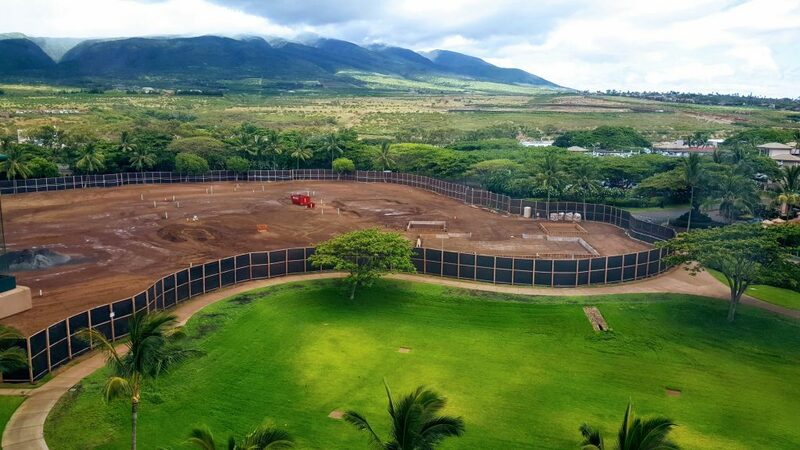 Construction on Honua Kai’s final phase continues to show steady progress. The photo below was taken 8/17/2018 and shows both buildings one and two have begun vertical construction. Completion of enclave one is still projected to be Summer of 2019 with the completion of the buildings surrounding the second enclave expected to be closer to Christmas of 2019. Sales have also continued stead progress with unit #13C recently going into contract. Contact us directly for current price lists. Three more units have sold in enclave #2 in the past two weeks. 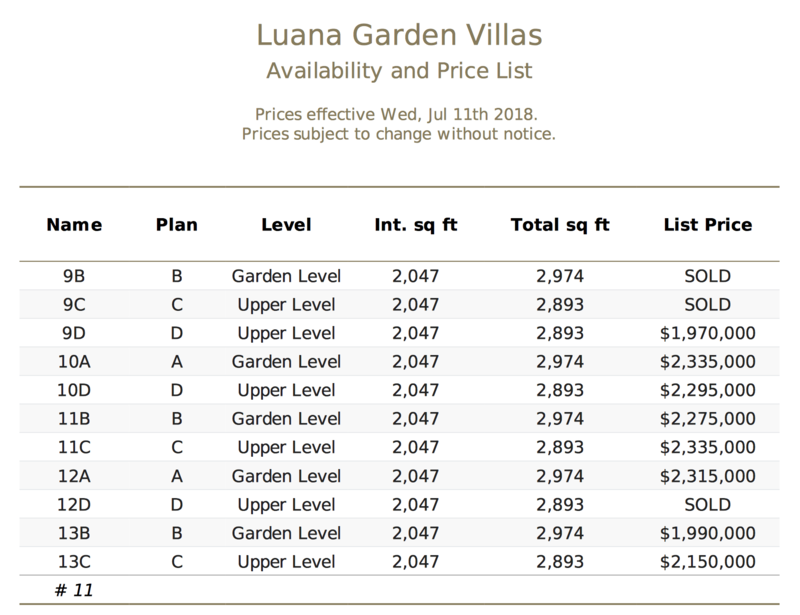 In response to strong demand for the second enclave of Luana Garden Villas 3 new Villas will be released to the public on Friday, July 13. If you would like more information on available Villas or specific information on what makes these new Villas unique, please contact us directly. 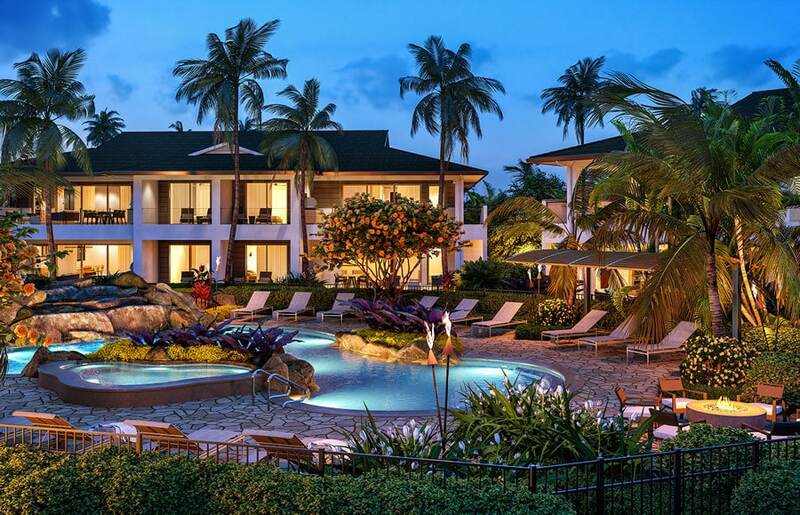 Luana Gardens at Honua Kai is releasing 8 more homes in it’s highly anticipated luxury project. Come Monday morning two homes in each Building 8 to 12 will be available for ownership. Both garden level and upper level units available. All 32 villas from Phase 1 have already sold out. Prices will be between $1,900,000 to just under $2,400,000. Set to be the last ocean front development in West Maui. Those who know Maui know that the western coastline is home to the most pristine beaches in the world. Experience the romance of the island, diverse dining experiences, one of a kind adventures, and a chance to reconnect with nature. Scheduled to officially complete part one of the three phase project in the summer of 2019, Luana Gardens is expecting to have a fully completed model by January 2019. Our most recent aerial photo shows that form boards are up and the word is the foundation for Building 1 will be poured any day now. I’ll be documenting the entire process and updating on Luana Garden’s progress on a weekly basis. Click below and register to receive construction & sales updates via email. The beauty of the West Maui Mountain range is the ideal backdrop for reconnecting with serenity and nature. To feel closer to heaven one should stay in the south facing villas to observe the magnificent surroundings from the “lanai” terrace. To experience the majestic sunset skyline choose the west facing villas. The 72 residences are a subtle statements of island living and luxury. Allow us to guide you with our intricate knowledge of the island topography and project design as you consider Luana Garden Villas.